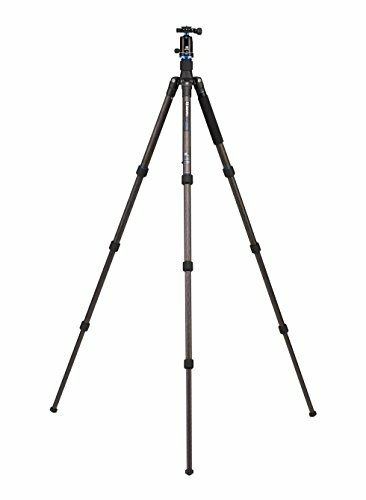 The Travel Angel FTA28CV1 is part of Benro’s most advanced range of compact, travel style photo tripods. 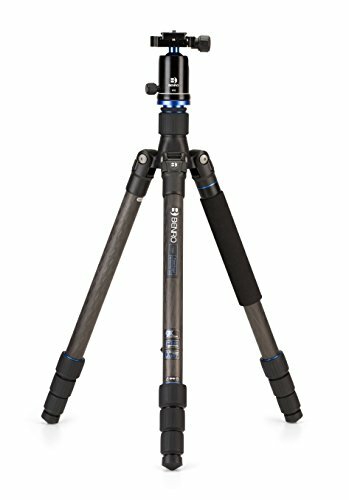 This lightweight fully featured reverse folding tripod kit combines 9X carbon fiber legs with magnesium castings and twist locks for uncompromising performance. 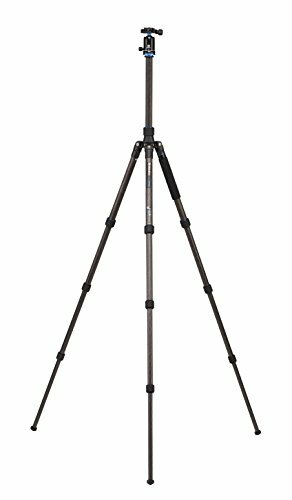 One of the tripod legs can be easily converted into a monopod for extra versatility. Included in the kit is a triple action ball head with an arca-swiss style plate with individual controls for pan lock, drag and ball lock.Designed to offer compact and lightweight camera support. Weighing just 4 lbs. and able to hold up to 22 lbs., the FTA28CV1 can extend from a minimum height of 18.7″ up to 66.9″. The 4-section legs are held in place by twist locks and can be adjusted independently. Equipped with interchangeable screw-in rubber feet and stainless steel spiked feet for increased stability. In addition, a removable leg can be combined with the center column to create a full-size monopod. Constructed from 9 layers of carbon fiber, these legs maximize the strength to weight ratio of the tripod legs. 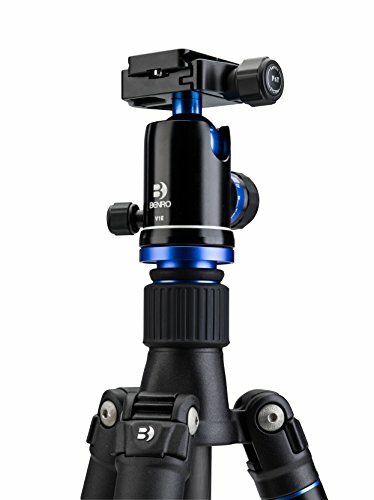 The V1E Ball Head has separate pan and ball locks, and an Arca-type compatible clamp with a quick-release plate.